The Hyatt Zilara brand was introduced in late 2013, and its first and only resort, Hyatt Zilara Cancun, has already received a distinguished award. Owned and managed by Playa Hotels & Resorts B.V., Hyatt Zilara Cancun joins only 5.3 percent of nearly 30,000 hotels approved by AAA to make the Four-Diamond list. Scanning the United States, Canada, Mexico and Caribbean, the AAA Diamond rating process is a big deal in the hotel and restaurant business. Without notice, AAA inspectors will visit hotels and collect member feedback. Properties must then meet 27 requirements for comfort, cleanliness, security and safety. Hotels receiving Four-Diamond designations are considered upscale in all areas and are also recognized for being refined and stylish with an enhanced, thorough level of quality. Hyatt Zilara resorts, derived from the word “exhilarate,” are designed to inspire guests to embrace new discoveries through adult-only, activity-driven experiences. 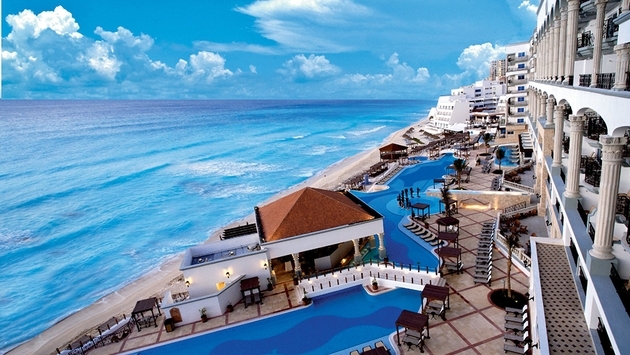 Hyatt Zilara Cancun, an all-suite resort, is located on the widest stretch of beach in the heart of Cancun’s Hotel Zone. Featuring sweeping views of the Caribbean, the world-class resort offers a host of upscale amenities, including 15 restaurants, bars and lounges; 24-hour suite service; Cancun’s only ocean-view spa; wine and spirits tastings; an enhanced pool and beach butler service; and more than 21,000 square feet of meeting/event space for conventions, business gatherings and weddings. The 307-room resort is located only 15 minutes from downtown Cancun and 20 minutes from the Cancun International Airport.